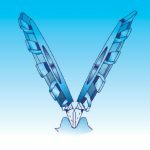 A technical paper discussing the effect of root densification depth and tooth loading mode on fatigue life. 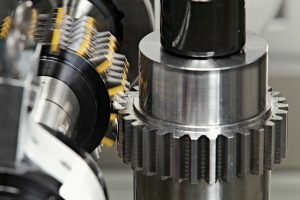 Surface densified powder metal gears and conventional wrought steel gears were tested using a pulsator and a back-to-back gear tester to develop bending fatigue data. 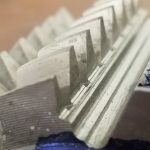 Two types of powder metal spur gears (wheel and pinion) were manufactured by pressing and sintering followed by surface densification using the DensiForm® process. Reference wrought steel (AISI 8620) gears were manufactured to the same geometry by hobbing and shaving. Both sintered and wrought steel gears were gas carburized and oil quenched. 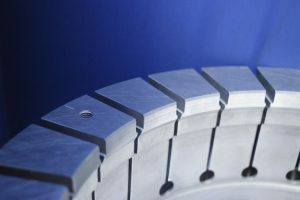 The endurance limit in bending fatigue of surface densified gears is compared to that of conventional wrought steel gears. 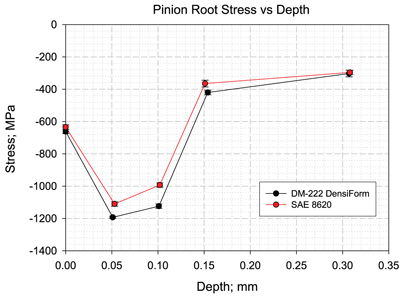 Based on the analysis of damage initiation and fracture mode, the densification depth is shown to be critical on bending fatigue life. It is shown that through deep densification in the root area, densified sintered gears can match the strength of wrought steel gears. 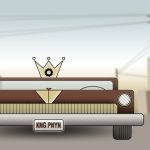 Power transmission components for automotive applications require high static and dynamic mechanical properties to ensure long-term system reliability. 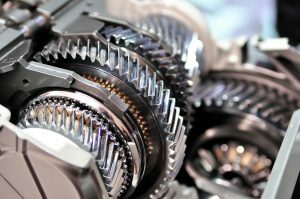 Historically, high quality wrought steel alloys have been the only materials used in high volume manufacturing of torque transmitting components such as transmission gears. 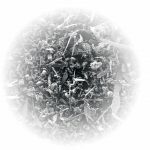 Although powder metal technology offers lower cost components, limitations in static and fatigue properties of sintered materials preclude utilization of conventional powder metallurgy in these applications. 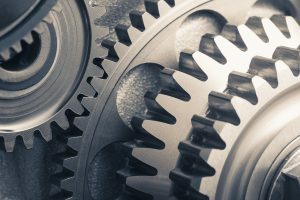 Recent developments in surface densification of powder metal components have opened up opportunities for mass production of powder metal components in high contact stress applications such as cam and races for one-way clutches [1,2]. Despite this technological advancement, highly loaded transmission gears are still made by case carburization of wrought steels, which are suitable for withstanding both high contact stresses responsible for pitting failure and high bending stresses responsible for tooth root breakage. The contact stress depends on the square root of the applied load and the reciprocal of the equivalent radius of flank curvature; the bending stress is directly proportional to the applied load and the reciprocal of the gear module . 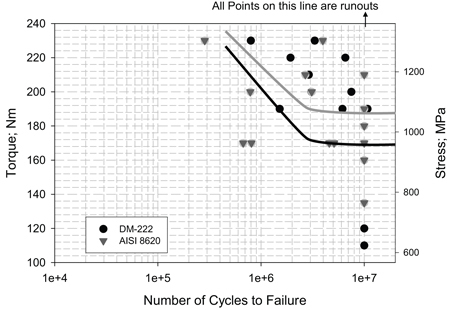 While the damage mechanism in contact fatigue failure of surface densified powder metal components has been extensively described in the literature, the damage mechanism involved in bending fatigue failure has not been addressed [4,5,6,7]. 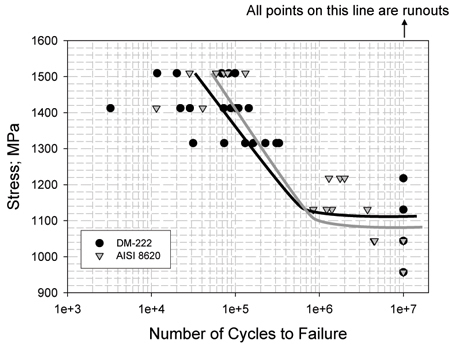 To understand the interaction between contact driven failure and bending driven failure and its implication on densification depth design for powder metal gears, this study has attempted to evaluate the initiation and the development of damage during gear bending fatigue tests. 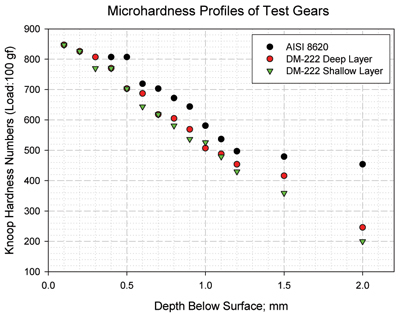 Comparisons are presented of the test results for failure in bending of hobbed and shaved AISI 8620 wrought steel gears and powder metal gears with two levels of surface densification: shallow (<0.10 mm), and deep (>0.2 mm). Table 1 gives the chemical composition, and Figure 1 shows the gear set used for back-to-back testing. The single tooth (pulsator) and the back-to-back testing machines are shown in Figure 2 and Figure 3, respectively. In the single tooth test, the loading is in compression at a load ratio of 0.01 and 60 Hz operating speed. In the back-to-back test, the two gears mesh under a constant applied torque. Table 2 and Table 3 give the geometry and testing details for the back-to-back test. In both cases, the test was stopped at 10 x 106 cycles and considered a non-failure if the tooth was not broken. Wrought steel test pinions were manufactured by hobbing and shaving. Powder metal gears were manufactured to the same geometry. The sintered gears were densified in the root and the flank using the DensiForm process. 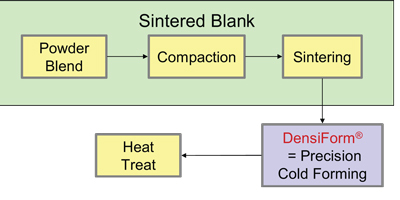 The typical DensiForm process is outlined in Figure 4. 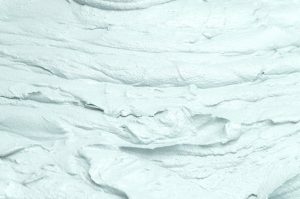 A sintered preform is produced by the traditional steps of blending or bonding the powder, compacting the preform in a die, and final sintering. The sintered preform is subsequently subjected to a precision cold forming process. Depending on the geometry of the part and the location of the surface to be densified, several variants of the process have been developed. All process variants apply specific cold forming to selected surfaces of the part where a highly localized deformation is achieved. The deformation results in local densification up to full density. All the test gears were heat treated at the same time, with the aim to achieve a 0.6 to 0.8 mm case depth. 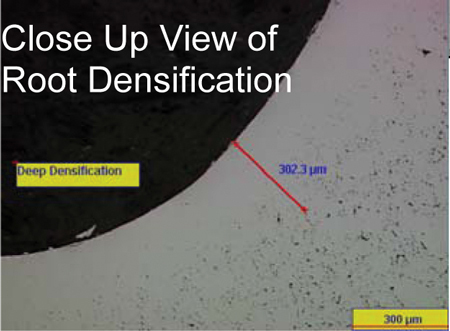 Figure 5 gives an overview of the deep root and flank densification of the test pinion (> 0.2 mm fully dense layer). A typical representation of the shallow densification version of the test pinion (< 0.10 mm dense layer) is shown in Figure 6. 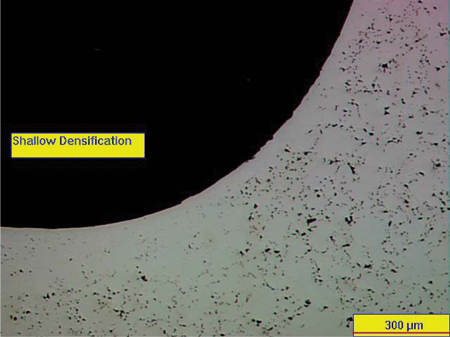 Figure 7 presents the density profiles of the deep and shallow densified powder metal test pinions as determined by quantitative image analysis. The deep root densification achieves a 0.2 mm fully dense layer (density higher or equal to 7.8 g/cm3). 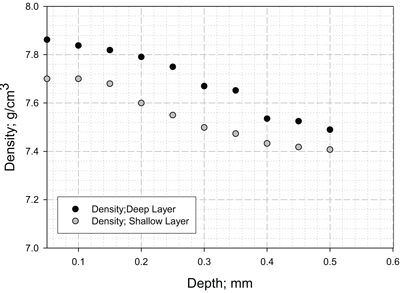 The shallow densification achieves a density of 7.7 g/cm3 up to a depth of 0.1 mm. Microhardness profiles and carburized microstructures of powder metal and wrought steel gears are shown in Figure 8,Figure 9 respectively. The microhardness results indicate a slightly deeper case for wrought steel gears, although all the parts were carburized at the same time. The difference in case depth is explained by the difference in carbon before heat treatment for the two materials which is clearly displayed by the core hardness difference (see Figure 8). 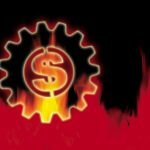 It is well known that carburizing differences could result in residual stress differences which affect the bending strength of gears. In order to evaluate the potential effect of residual stress, x-ray diffraction was used to measure the residual stress at the root perpendicular to the tooth flank. A residual stress profile is shown in Figure 10. Both gears have similar and high compressive residual stresses, reaching a maximum at 0.05 mm (50 microns) below the surface. The fatigue results for the single tooth bending test and the back-to-back bending test are presented in the form of S-N plots in Figure 11 and Figure 12. The results confirm that deep densification using the DensiForm process increases the bending strength of the powder metal gear to the level of wrought steel. 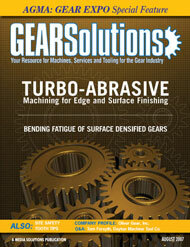 At a bending stress of 1,000 MPa, the surface densified gears have a life that exceeds 10 million cycles. 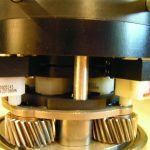 In order to investigate the bending fatigue of gears with shallow densification, additional tests were carried out on the back-to-back tester. 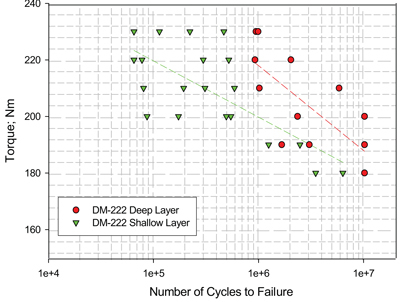 Results comparing the gears with deep and shallow densification are shown in Figure 13. 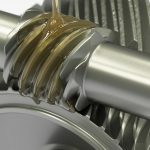 Shallow densification results in a decrease in life at all torque levels. 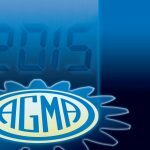 This reduction in load carrying capacity is very significant and it suggests that the densification depth plays a critical role in bending fatigue of powder metal gears. 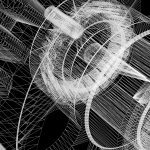 To assess the cause of lower bending fatigue strength of the powder metal gears with shallow densification, SEM fractographs were taken on three samples representing the wrought steel and the deep and the shallow densified gears tested. 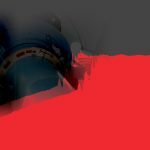 The objective of the fracture analysis of fatigue tested gears was to identify the fatigue crack initiation mechanism, which is known to correlate with the bending fatigue endurance limit . The crack initiation in wrought steel is shown in Figure 14. Wrought steel fractures right at the root, at the point of maximum tensile stress due to bending. High magnification of the fracture origin (Figure 14) indicates that wrought steel fails by intergranular fracture initiation. 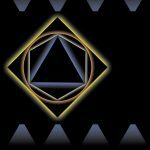 These results are in agreement with previous work [8,9]. The crack initiation in powder metal gears with deep densification is shown in Figure 15. These gears fracture right at the root, like wrought steel, and preferentially from residual surface pores (Figure 15). A high magnification fractograph of the crack origin indicates a ductile fracture with void coalescence as the main failure mechanism (Figure 15). It is not clear why this is different from the crack initiation in wrought steel, but the presence of soft nickel phases may explain the ductile fracture of this gear. The crack initiation in powder metal gear with shallow densification is shown in Figure 16. These gears display a large plasticized zone on the tooth flank in the dedendum area. From figure 16b, it appears that the crack initiates between 0.05 and 0.1 mm under the surface due to heavy plastic deformation. The fracture mode difference between the gears with shallow densification and the other two types of gears is highlighted by the macroscopic fractures surfaces shown in Figure 17. 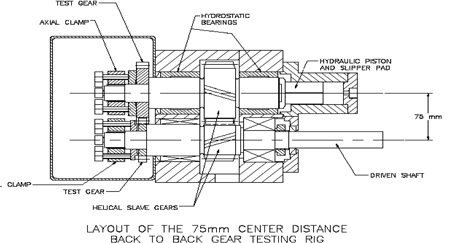 As seen in these figures, gears with shallow densification fail above the filet radius. Because the fracture in gears with shallow densification initiates above the point of maximum tensile stress from bending, the stress state right above the filet radius was examined in detail. 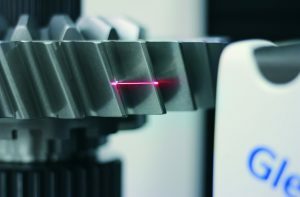 The starting point of plastic deformation on the gears with shallow densification was determined by scanning the tooth profile in a gear inspection machine. It was found that the plastic deformation zone is close to the location of lowest point of single tooth contact (LPSTC) (distance C2 in Figure 18). The LPSTC is typically the location on the line of action where the highest theoretical (Hertzian) contact stress is seen. A high degree of sliding, though not the maximum, is also seen at the same location. The combination of the two conditions of stress and sliding make the LPSTC a likely location for damage initiation. To correlate the damage and the level of stress, contact stresses were calculated at the LPSTC. 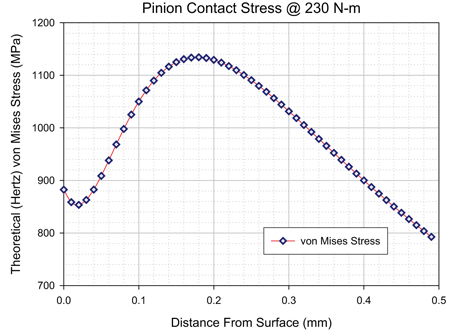 Figure 19 shows the contact stress profile expressed by the theoretical von Mises stress. Calculated stresses indicate that local contact stresses exceed 1,100 MPa at ~0.13 mm under the surface and remain above 1,100 MPa to a depth of 0.24 mm in the area where densification and mechanical properties are low. Consequently, it appears that shallow densification is not appropriate for high bending stresses because contact induced failure occurs first and accelerates subsequent failure in bending. 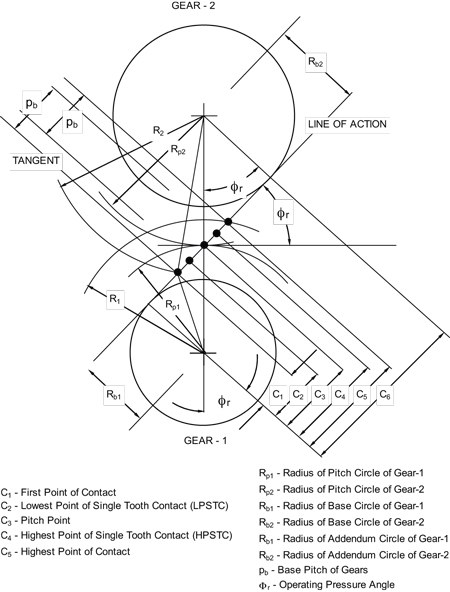 This observation is confirmed by the higher slope of the bending fatigue results for the gears with shallow densification undergo extensive damage at the LPSTC and fail prematurely due to subsurface cracking induced by localized inelastic or plastic deformation on the tooth flank. 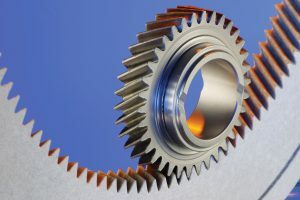 1) Under similar heat treatment and testing conditions, powder metal gears with deep surface densification (> 200 ¬µm) match the performances of AISI 8620 gear steel in bending fatigue displaying an endurance limit above 1,000 MPa. 2) Powder metal gears with shallow densification (< 100 ¬µm) show lower bending fatigue strength, especially at higher loads. 3) AISI 8620 steel and powder metal gears with deep densification fail by tooth breakage in the filet radius with fracture initiating at the location of maximum tensile stress due to tooth bending. 4) Powder metal gears with shallow densification fail by tooth breakage above the filet radius at the lowest point of single tooth contact (LPSTC). The development of the bending fatigue fracture seems to involve a two-step mechanism: 1) damage by contact fatigue at the LPSTC that, in turn, results in additional stress concentration, and; 2) initiation of a bending fatigue fracture at the LPTSC with subsequent propagation that results in tooth fracture.